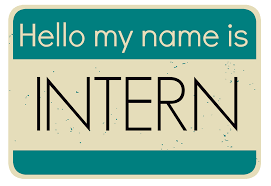 We recommend that you assign to your interns projects, not regular work expected to be done by full-time employees. By having them work on projects, your company will gain benefits on things that you have put off for too long, and your interns will gain valuable experience on how your company works, and how to make it work better. For the past two years, we have offered a list of five projects suitable for summer interns. Here are the lists from 2014 and 2015. 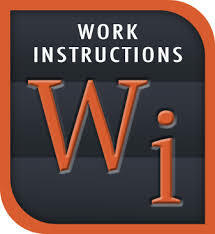 I. Create/update written work instructions for common tasks/processes. Phase 2. Compile the feedback from the above employee survey into a list of processes that should be documented. Assign to each task to an employee who is an expert on the task. Phase 3. Have the employee expert teach the intern how to perform the task. From that training, have the intern create a formal step-by-step work instruction. With guidance from a manager or mentor, of course. II. Add to your marketing contact database. 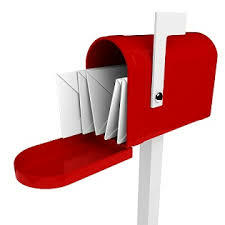 If direct mail marketing (e.g., postcards and printed newsletters) is part of your marketing effort, an intern can help build your marketing contact database. To see how accessible potential contact information (e.g., names and titles) is available on-line, search for your biggest customer’s company name at LinkedIn. If the contacts you see associated with that company look valid, have an intern do the same kind of search at LinkedIn for another few hundred active and potential customer company names. In addition to using LinkedIn, which can be free, consider subscribing to zoominfo, a subscription service that has a wealth of contact information, typically far beyond what is available in LinkedIn. Caveat: While capturing names, titles and mailing addresses from on-line resources is fair game, we do NOT recommend capturing a contact email address without the owner’s consent. If you choose to capture email addresses without consent, comply with the CAN-SPAM Act. III. Experiment with Google AdWords. IV. Create content for social media and browser searches. 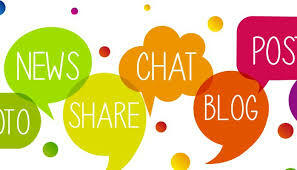 Get your company’s name out there, on-line, as part of the the blogosphere. (“Blogosphere”. We like that word.) Does your company’s website have a blog section, where you can post articles, tips, news, etc. in such a way that web crawlers can capture the content there? If not, consider adding such functionality to your company website. (For this purpose, we like the free application Orchard.) Otherwise, create a company account at LinkedIn, and join LinkedIn groups where your existing and potential customers might aggregate. Once you have a place to add on-line content that relates back to your company, have your intern compile a library of “blog entries” (articles, news, tips, etc.) applicable to your industry or your customers’ needs. There are many sources for such content. Your employees, your customers, your manufacturers, trade associations, are just a few sources. With the guidance of your company’s marketing/sales leadership, an intern ought to be able to compile at least one years’ worth of monthly “blog posts”. 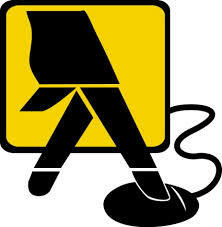 V. Review/update your company's information in on-line business directories. By now, your company probably has its own LinkedIn listing (and perhaps its own Facebook page), which you have complete control over. But don't ignore your listings in independent on-line business directories, such as Manta, YellowPages.com and Yelp? (Yes, Yelp. It's not just for restaurants and dry cleaners anymore.) Click here for a list of thirty-two business directory sites where you ought to consider creating/reviewing/updating your company information. (Granted, not all sites on this list are business-to-business, "B2B" sites.) Have your intern create an account for access to selected on-line business directories and submit accurate, rich content. One last tip for improving your on-line presence: Search at Google for your company name plus the word, “review”. Are there any on-line reviews about your company? Are there any negative ones? If so, contact the review posting site and determine how to defuse/resolve the negative review. 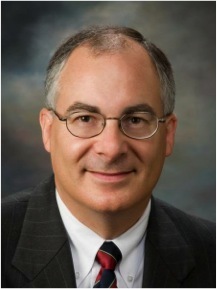 After a successful career in sales and operations management in the wholesale-distribution industry, Mark Tomalonis is now principal of WarehouseTWO, LLC. He amuses himself by writing articles, such as this one, to help wholesaler-distributors execute their operations better. Mark’s articles and tips are published in WarehouseTWO’s monthly e-newsletters. Click here to subscribe. WarehouseTWO, LLC is an independent “inventory-sharing” service created exclusively for durable goods manufacturers and their authorized distributors, and for any group of durable goods “peer” wholesaler-distributors, such as members of a buying/marketing group or cooperative. To learn how inventory-sharing with WarehouseTWO can help your business, visit the WarehouseTWO website, or email info@warehousetwo.com.